You don't have to be the best mixer or the most conversational to be a good bartender, just follow these basic bartending techniques so you avoid dropping the glass (or mixing the wrong drink). Whether it's making a popular shot or choosing the right amount of ice cubes, it's obvious to everyone that bartending isn't simple. Fortunately, we've made it right by simplifying the intricacies, thereby making bartending sort of hackable in relation to the learning and building of your bartending traits. Now, you don't have to fear. You can, yourself, make classic cocktails like the best of them behind the bar; all you got to do is follow these simple steps. I don't know about you, but I tend to love making my own drinks over that of a bar hop or otherwise, for I alone know how much liquor I need and what percentage of blend I prefer. There's also the concerns of if my drinks are too cold or warm, made incorrectly, or simply not to my satisfaction, which is I started this journey in the first place. To follow in my footsteps, here are some basic bartending techniques for the newbies on the other side of the partition. How hard is it to become a bartender? Easy, if you ask me, just try out any of these secrets the next time you find yourself on the other side of the bar. Before you even begin to feign interest in the extravagance of bartending, you'll need to understand what the hell it is you're doing. First and obviously foremost, you'll want to brush up on all of your mixed drinks (plus, on making drinks to begin with). A lot of newbie bartenders think that garnishes are either unnecessary or too much of a cumbersome task to actually preform, but if you were a true bartender you'd know that a garnish goes a long way in making a drink better not just in flavor, but in overall quality. Start out by learning how to use bitters in your cocktails. You see, among basic bartending techniques is the understanding that garnishes are a part of the ingredients for a reason; they often add to the smell, taste, or even aftertaste of the particular drink in question. As a new bartender, forgetting your garnishes is a lot like forgetting your shirt: unsurprisingly, you're not prepared. The same goes for a beverage; without a garnish, it's not finished. Oh yeah, it's not just the fruit and/or added flavor you give to your patrons's drinks, but it's also the variety of a glass and its preparation. You've seen martinis prepared in salt lined glasses before, yes, but it goes even deeper than that. Like the cognac or the classic whiskey, certain types of alcoholic beverages also ask for certain types of glasses for not only the right air flow, but also aesthetics. While not all of them will be so, among the basic bartending techniques is this self-supervision in feigning the right glass. Beer and wine won't be too much of an issue (I hope), but when it comes to more difficult concoctions, like the piña colada or the tequila sunrise, don't think on your feet. Just know, that's why preparation is key. Once you've gotten the hang of these beginning steps (learning drinks, learning their styles, learning their preparations), you're finally ready to learn how to measure the right way. Instead of complying with the many mistakes people make while opening champagne, learn instead how to do it the right way. Ask any bartender and they'll say it all comes down to basic bartending techniques learned by said tender in question, but realistically all you need to know is how to use the jigger right (this isn't rocket science after all). Follow preferred ingredients while using the jigger and you're safe in any type of measuring campaigns. Utilizing your trusty cocktail shaker will be of utmost value in basic bartending techniques. After you've not only learned how to make a good percentage of those complex drinks out there, next you want to figure out how best to make them and what goes into this most often deals with either straining or shaking (sometimes even both). Since shaking is so difficult (you'd honestly be surprised), I left a little WikiHow to help you along the way. It's not as difficult (in my opinion) as straining is, because this requires patience, keen attention, and the right amount of skill. Remember: fast and quick shakes are preferred for the buildup of condense for a natural-tasting finish. This can be utilized among ways to spot a bad bartender, because practically none get this one right. While others may consider it one of the most difficult basic bartending techniques to both learn and preform, muddling is actually not that too complicated once you get the hang of it. This type of move in making classic cocktails actually makes drinks better and more flavorful, as if adding fruit drinks to the mix (don't do this). To perform this the right way, simply use a muddler to crush certain ingredients on the back of a bar spoon or using a pestle. That's it, but you have to ensure extracted ingredients don't end up tainting the beverage after completion. 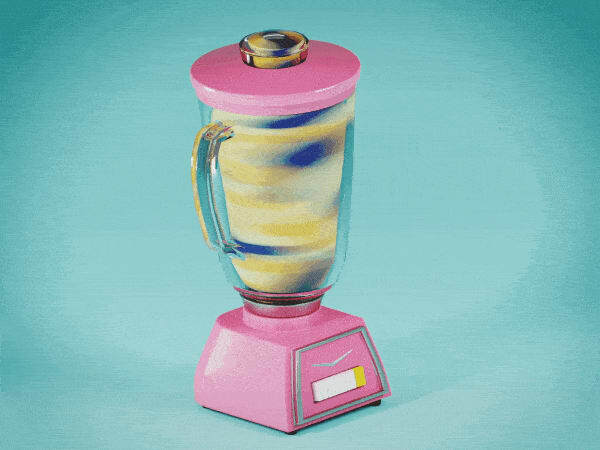 Blending basically comes down to how well one can use a blender, which isn't saying much but basic bartending techniques are supposed to be simple, so I've simplified this task for you. Certain mixed drinks require blending. You must use fresh ingredients, ice cubes (if recommended), or crushed ice, which is much more preferred. Once it's finished, make sure the beverage is properly blended; it should be smooth and sweet, but also not be too "smoothie-like" so it's a quality blend of both alcohol and fruit drinks. Despite what every Bond fan may want to tell you, shaken not stirred is not how you prepare a martini (and vodka shouldn't be your go to either, but that's besides the point). Cocktails deserve the right ingredients, which is the same for preparation as well. When concerning basic bartending techniques, the art of stirring can be simplified with the utilization of a metal or glass rod. Depending on the bartender, and where he or she is located, preferences on what kind of stirrer to use vary, but you can use ice (and some drinks necessitate it) for an undiluted finish that's as stunning as it is tasteful. Oftentimes coined as "floating" a beverage, layering can be utilized to enhance the ingredients and ultimately make the finished product that much more stunning, both in terms of texture and flavor. This usually requires a cream or liqueur, so do make sure you're adding the right substance before proceeding. Use the round part on the back of your spoon to preform this task. Simply rest it against the inside of the glass as you slowly pour the necessary additive over the spoon and into the glass. Written into the name of this additional step in basic bartending techniques is the fact that ingredients must remain "layered," so keep the cream or liqueur sufficiently over other ingredients for the right combinations of unique tastes. Beyond sounding a tad bit weird in conjunction with basic bartending techniques, flaming is actually among the coolest devices up a bartender's sleeve and, when preformed correctly, can be cause for some major returns, depending on what that might be for you (ie more customers, more drinks bought, or both). To do this the right way—important to note: it's the most dangerous—utilize a can or blow torch and simply light the drink up. Surprising as it may be, this actually will enhance the beverage, but ensure that the flames are extinguished before drinking. It may sound more like a step in constructing an actual landmark, but in actuality it's just among basic bartending techniques made easy for the newbies out there. To preform this the right way, use ingredients as first steps rather than last steps or you can simply think of it as placing the ingredients in the glass before the alcohol. Same thing as layering, building is somewhat similar in that bartenders must "float" the added ingredients on top of each other, but you can also mix or blend them with a swizzle stick, which is far more preferred.